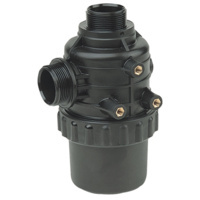 Available in stainless steel, ceramic and polymer in 80° and 110° spray angles with VISI-FLO® color-coding. Ceramic is available with corrosive-resistant polypropylene VisiFlo color-coded tip holder in 80° capacities 03-08 and 110° capacities 02-08. Teejet Spray Nozzle Cap and Seal:- the Quick TeeJet caps provides automatic nozzle alignment and are designed with grooves that fit locating lugs on the nozzle body. 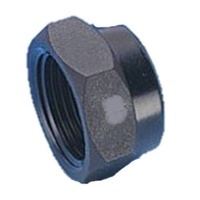 Caps are made of Nylon and are available for use with all TeeJet® spray tips. Maximum operating pressure of 300 PSI (20 bar).